As the officers congratulated her husband and the ladies offered advice for folding dresses in traveling trunks, she glanced up at the map of America and shook her head resolutely. She had already lived in dilapidated military barracks in Missouri, a rough fort in Florida, and a rowdy town in Kansas. A journey to California was simply not appealing! The military could order her husband out there to a desolate land, but that did not mean she and the children had to go. Almira Hancock’s resolution faltered as Major Lee spoke. She looked at her captain, realizing she would never be happy if there was a continent between them. With a genuine smile, she routed fear and listened to her heart, saying to the major, “I promise.” Hardship, adventure, civil war, wounds, politics – come what may – she would be there, and she would be essential to her husband’s honor and success. The following year at a social gathering Major Buell introduced Miss Russell to a West Point graduate, soldier from the recent Mexican-American War…and the officer who received her glove: Lieutenant Winfield Scott Hancock. A friendly acquaintanceship transformed into a whirlwind courtship. 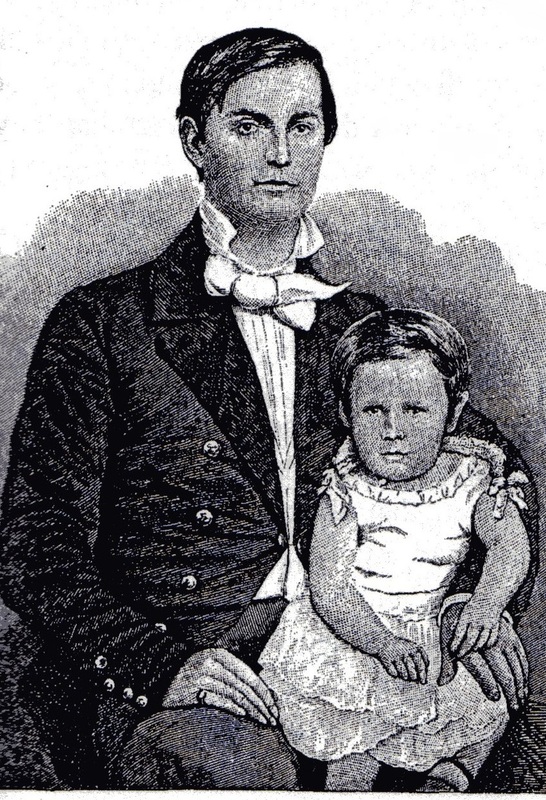 On January 24, 1850, Miss Almira Russell married Lieutenant Hancock. There was a severe thunderstorm that evening as they said their marriage vows at the Russell family home, and three times during the ceremony and reception the lamps were extinguished. While some guests shook their heads at the foreboding omen, the young couple decided that “the new life upon which we had just entered [was] so full of promise as to defy the predictions of a universe.” [iii] Lieutenant and Mrs. Hancock’s happy life soon received an additional blessing. On October 29, 1850, their son – Russell – was born. The following year gave Almira her first real taste of military life. Moving to Jefferson Barracks which was about twelve miles south of St. Louis, Almira found her new home lacked doors, and Winfield began a lively correspondence to procure doors, locks, and keys for his family’s quarters. The Hancock residence became a popular gathering place for officers, and Almira’s hospitality skills were appreciated. In 1856, Lieutenant Hancock – now in the quartermaster’s department – was transferred to Fort Myers, Florida, and Almira discovered that she was the only woman at this frontier outpost. However, the weather, snakes, alligators, and threatened Indian attacks could not stop this military bride. In addition to managing her household, looking after her son, and tending to sick or injured soldiers, she cooked three meals a day and the officers “drew lots for the privilege”[iv] of dining at the Hancock’s table. 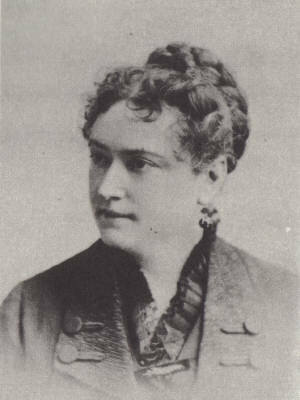 Later, Almira wrote about the Florida years: “…I experienced much happiness…since through my presence, my generous, hospitable husband was enabled to alleviate in many ways the sufferings of our poor men and officers… Our bright, cheery home became a rendezvous for officers, who gladly acknowledged it to be an oasis in that desolate spot…”[v] While at the desolate Fort Myers, Winfield and Almira’s daughter was born on February 24, 1857. Having crossed to California and finding that his unit and quartermaster duties would keep him there, Winfield Hancock got a leave of absence and prepared to move his family to the west coast. But Almira was not keen on the long journey and another frontier settlement until a few wise words from Major Lee caused her to reconsider her ideas. Boarding an overcrowded steamer in New York City on April 4, 1859, the family sailed to the Isthmus of Panama, crossed that tropical land, and embarked on another vessel. Again the ship was overcrowded, and Captain Hancock tried to play peacemaker between disgruntled passengers. However, the velvet gloves came off when he discovered some of the traveling companions taking out their annoyance by mistreating his son; after threatening to kill anyone who touched him or his family, Winfield and Almira both breathed a sigh of relief when they arrived in California without serious trouble. It took time for news to travel to the west coast, but, by the end of April 1861, everyone knew about the firing on Fort Sumter. Southern men resigned from the U.S. Army, choosing to go with their seceded states. Officers came to Winfield Hancock for advice; though he did not always agree with the stance of the government or the radical interpretation of the Constitution, Winfield made it clear that as an officer he would not fight against the Federal government. A farewell gathering was held before the Southerners departed, and Almira said adieu to good friends, not realizing that most she would never see again while her husband would next see them on battlefields. During the Peninsular Campaign, General Hancock was complimented by General McClellan in an official telegram: “Hancock was superb today.”[xi] The telegrams, newspaper reports, and official recognitions were positive for many months. 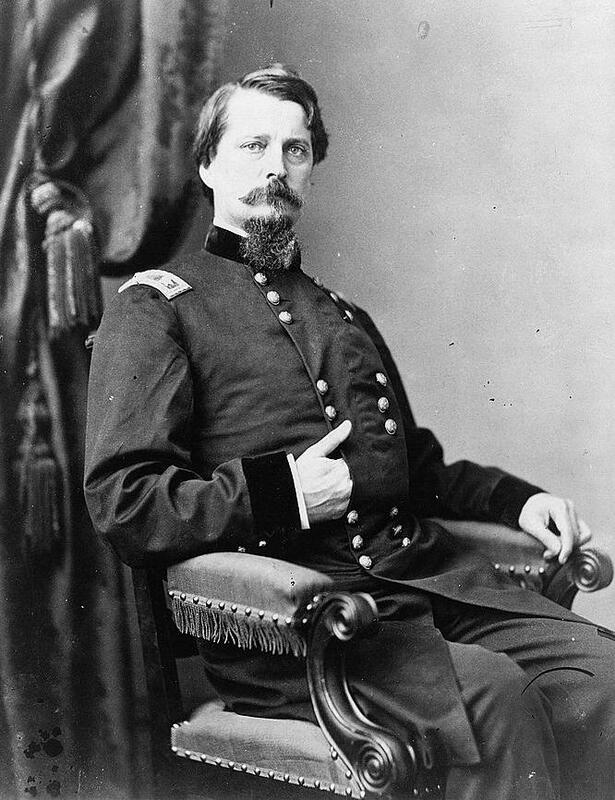 By June 1863, General Hancock was commanding a corps of skilled fighters: the II Corps of the Army of the Potomac. July 3, 1863, St. Louis, Missouri. Almira and the children had gone to visit her parents for a few summer weeks. The previous days she’d received telegrams from Winfield…the army was engaged – somewhere called Gettysburg. “I am all right, so far”[xii] read the message early in the day. [ii] D. M. Jordan, Winfield Scott Hancock: A Soldier’s Life, (1988), pages 20-21. This incident was recorded by Henry Heth, who good-naturedly complained that his friend, Hancock, got all the attention from the ladies. [xi] G. Tucker, Hancock: The Superb, (1960), page 89. This entry was posted in Civilian, Leadership--Federal, Personalities and tagged Almira Russell Hancock, California, Fort Leavenworth, Fort Myers, II Corps, Robert E. Lee, Winfield Scott Hancock. Bookmark the permalink. Interesting ! Looking forward to the next part. Thanks – hope you find Part 2 just as fascinating! So glad the article was helpful, David!